Extra-large interpretation of the classic FontanaArte lampshade, Amax is a family of suspension and floor lamps, available in both indoor and outdoor versions. 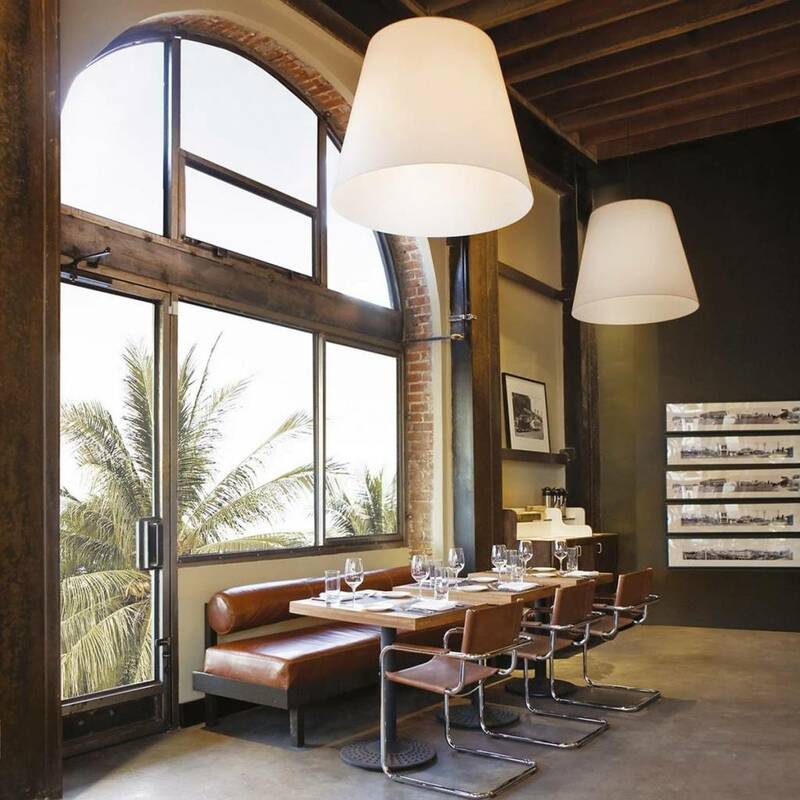 Extra-large interpretation of the classic FontanaArte lampshade, Amax is a family of suspension and floor lamps, available in both indoor and outdoor versions. 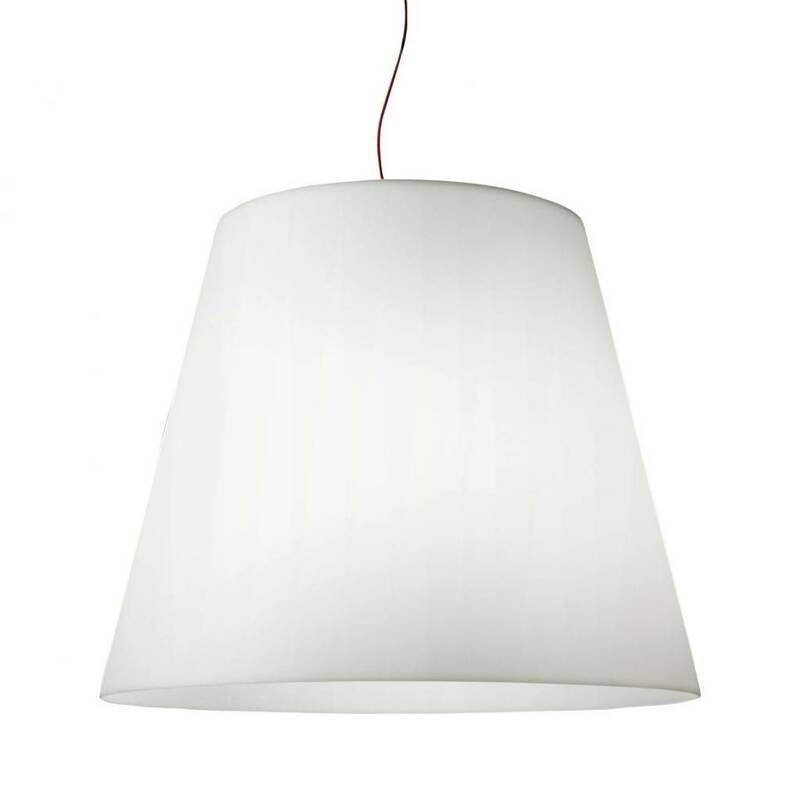 For the larger sizes, the hanging lamp has a lower disc that covers and hides the light sources from view. Suspension lamp. Chromed metal frame. 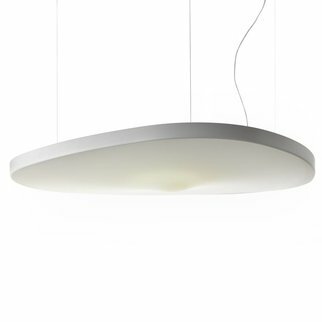 Polyethylene diffuser with white interior; exterior available in white or black (RAL 9005 matt). Steel suspension cable. Black power cord.. Available on request with metallic grey or gold diffuser.